UPDATE: A previous version of this post said that Austin Petersen is in favor of Trump's border wall, which he is not. 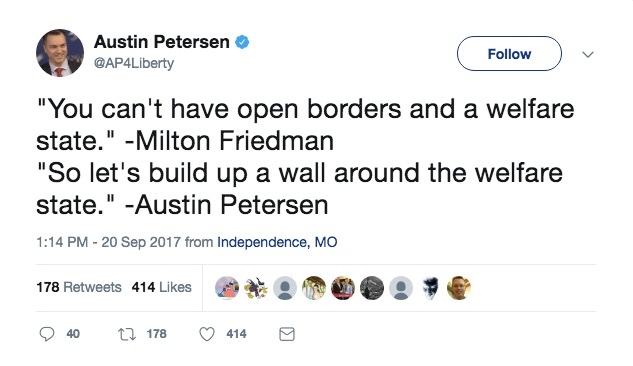 Petersen's Twitter feed made reference to "building a wall around the welfare state," which is quite distinct and compatible with the libertarian position. Back in 2015, U.S. Representative Mark Meadows took a major political risk to stand on his North Carolina constituents’ principles. He filed a motion to vacate the speaker chair held by John Boehner. Members of the House Freedom Caucus like Meadows have routinely been accused of dividing the Republican Party by holding fast to radical ideas, like cutting the $20 trillion deficit. 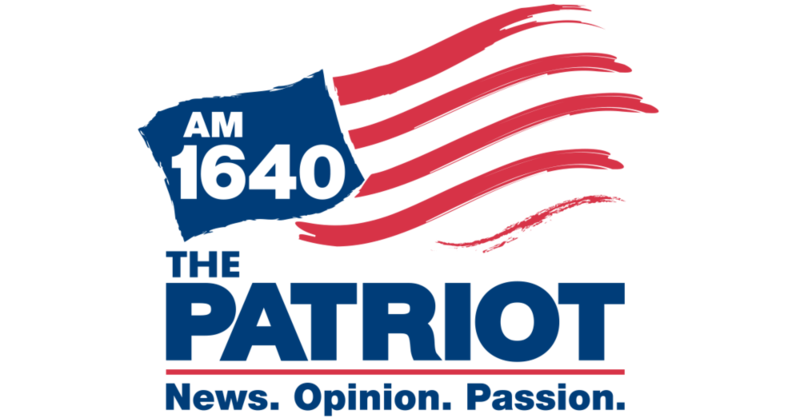 Austin Petersen – a 2018 U.S. Senate candidate in Missouri – looks to join the ranks of Meadows, et al. in returning the party to fiscal sanity and constitutional principles. 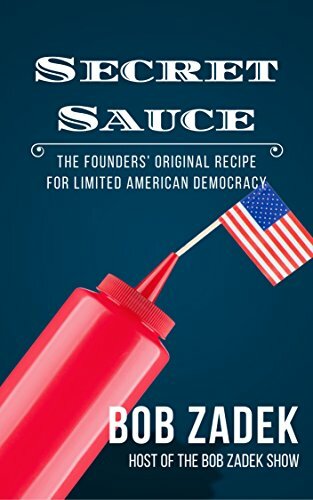 A libertarian until recently, Petersen earned his reputation as a provocative media producer and commentator, who gave Gary Johnson a run for his money in seeking the 2016 Libertarian Presidential nomination. 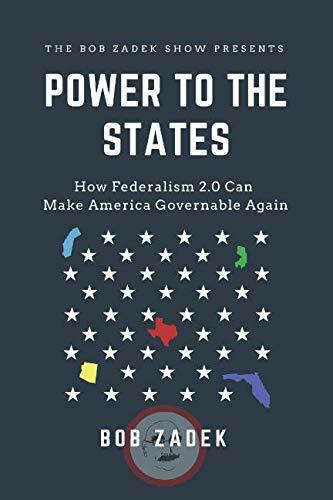 His plan for resolving the GOP’s identity crisis invokes federalism – the principle that states reserve powers not granted to the Federal Government – and a flat tax to spur growth and shrink government. For this, he will no doubt be vilified by moderate Republicans as much as by his actual opponent, Senator Claire McCaskill. 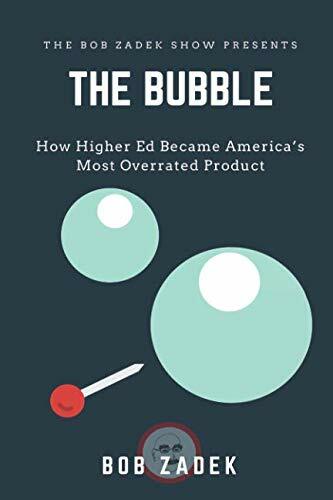 Petersen joins Bob this Sunday (9/24, 8-9am PT) to discuss his stance on these issues, along with those where he disagrees with the Libertarian Party, such as the non-aggression principle. 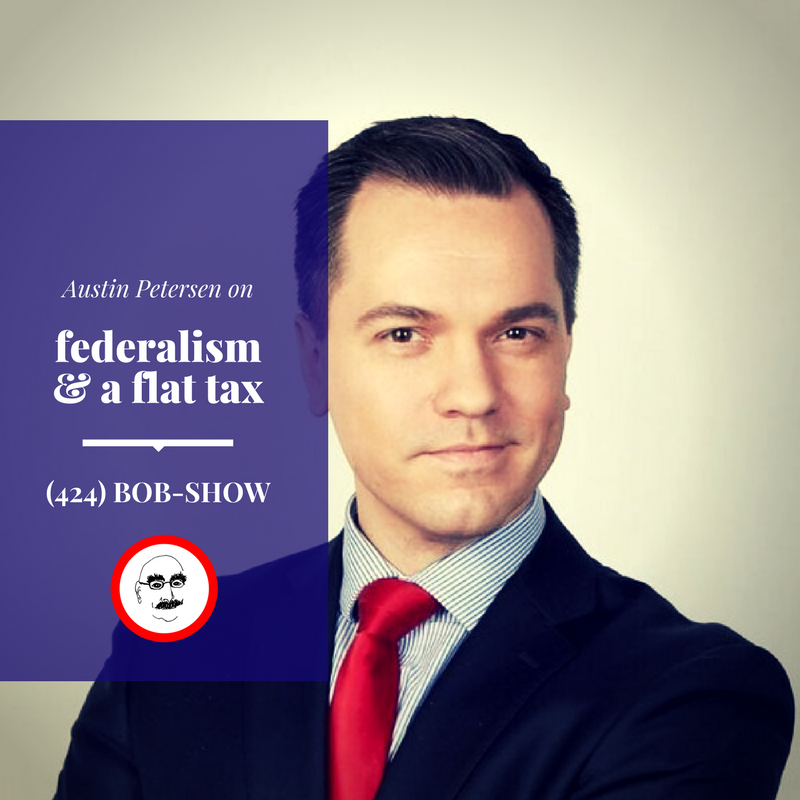 You can follow Austin on Twitter at @AP4Liberty, and hear him live, this Sunday, on the show of ideas not attitude. 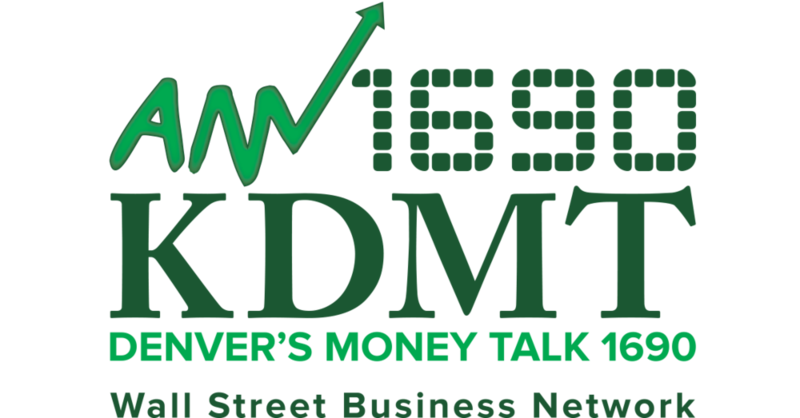 Call in with your questions at (424) BOB-SHOW.